Here at Master Mazuma, we love how vast and diverse the eSports world is. So many competitions are now held in relation to a wide spectrum of games, which means that rarely a week goes by without a major tournament taking place somewhere across the globe. 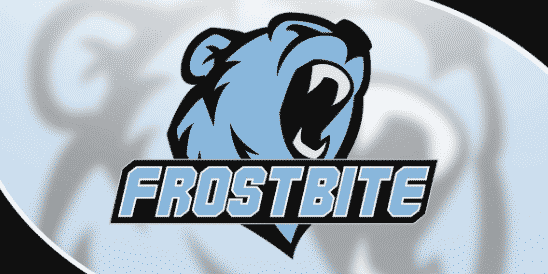 While it may not be the biggest tournament in eSports, Frostbite is a relatively new fighting game event which has already gained a significant following. In this guide, we are going to give you all of the essential information you need to know about the competition, as well as offer up some top tips for you to consider as you begin building your Frostbite eSports betting strategy. Frostbite was first held in Ann Arbor, Michigan in February 2016. 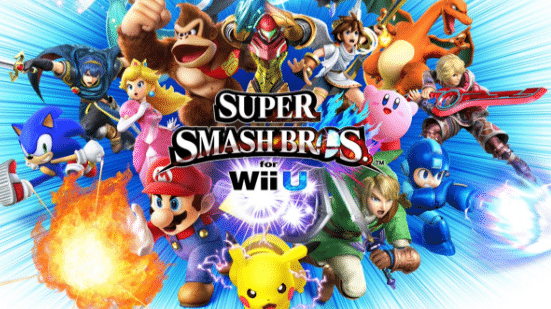 The competition focused on both Super Smash Bros Melee and Super Smash Bros for Wii U. The latter is commonly referred to in eSports as Smash Bros 4 and has become one of the most popular fighting games in competitive gaming, as it’s played across a range of tournaments. Organised by Pulse Gaming, Frostbite eSports 2016 proved to be a great success and returned once again in 2017 with a two-day tournament focused solely on Smash Bros 4. With Frostbite 2017 also proving successful, it is hard to bet against the competition being held for many years to come. How is the Frostbite eSports tournament structured? One of the first things you need to know about any eSports tournament before betting is how exactly it works. Let’s use Frostbite 2017 as an example. The competition featured both doubles and singles tournaments for Smash 4, as well as a 10 vs 10 Japan vs USA crew battle. Looking at the singles tournament primarily, the competition started with competitors doing battle in bracket pools, with the best players then competing across several knockout rounds until an outright winner came out on top. The overall prize pool for Frostbite 2017 was more than $5,000, with the pot being split between the top competitors in descending amounts dependent on their final position in the standings. While it may not boast the huge prize money of some of eSports’ biggest hitters, there are still plenty of thrills and spills to enjoy at a tournament of the size of Frostbite. So now that you know the basics related to this event, you can begin to plan your Frostbite eSports betting strategy. A strong place to start is to familiarize yourself with the game that the competition is based on. If you have not experienced it before, play a few games of Smash 4 to get to grips with the mechanics of the game. Are there any characters you find to be more effective than others? What are their strengths and weaknesses? All of this can help you make an informed decision when you see who the top players tend to use. Speaking of top players, a useful next step is to get know the competitors who are likely to do battle at Frostbite in the future. The tournament tends to attract the biggest names, so you can expect the likes of Chilean star Gonzalo “ZeRo” Barrios to attend in the coming years. The winner of the singles competition at the 2017 event, Barrios is thought to be the highest-earning Smash 4 player in the world and has collected more than $121,000 in winnings during his career. Others to look out for include Canadian player Elliot Carroza-Oyarce, who is better known as Ally and is another competitor with a strong record in Smash 4. US players such as Nairoby “Nairo: Quezada and Samuel “Dabuz” Buzby are also notable names that you should check out. You will be able to monitor the form of these players by watching plenty of coverage of Smash 4 tournaments, in person or online, on streaming sites such as Twitch. Keeping tabs on how competitors are performing will be absolutely key to assessing who may perform well at an upcoming Frostbite event. Doing so, you’ll also be in prime position to spot any up and coming talent who could go on to influence results. On the latter point, you must remember that eSports are like any other sport, so do not just expect the very biggest names to always win. Shocks can and do happen and, with Super Smash Bros games being renowned for their chaos and carnage, don’t be surprised if there is an upset or two at Frostbite. As well as watching coverage, take time to assess performance statistics online and also the characters that players tend to select. This could prove very useful when it comes to comparing competitors and whether they are likely to have what it takes to win in a major match against a big rival. Monitoring news related to Smash 4 is also a vital part of creating your Frostbite eSports betting strategy. Keep an eye on social media gossip, interviews and reports as such information will give you an insight into how players are feeling as a big tournament approaches. Are there behind-the-scenes distractions which could affect their performance? Have they talked about feeling like they are back to the top of their game? Consider all of this to see if players are focused on the task at hand and are primed for tournament success. As with any sport, it is very difficult to guarantee success when it comes to Frostbite eSports betting. However, the advice above should help you develop a strong strategy and ensure you can make informed decisions when the next tournament comes around. Smash 4 is one of eSports’ most underrated titles and here at Master Mazuma we’re sure you are going to fall in love with its all-action fun style. Head over to our specialist pages for Frostbite eSports betting to get all of the latest odds and assess which competitors could well be on their way to major success. When you’re ready, remember that Master Mazuma will let you deposit with all major methods, including Bitcoin, Paypal and credit cards, while we’ll also give you a bet 5 get 10 offer to get you started on the path to Frostbite eSports betting success.